We are a Priestly Society of apostolic life of Synodal rights, attached to the Old Catholic tradition. We profess a refined and particular faith in the person of Jesus as our sole and sufficient Savior; We go beyond any institution and therefore does not intend to compete, our only goal is to present a consciousness focused on the mystery of God who acts in the human being. 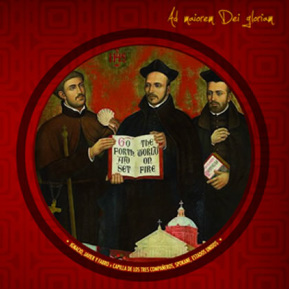 Our society is composed of priests, deacons, and brothers incorporated by an official membership, recognizing to Ignatius of Loyola as a guide, welcoming their spirituality. The life of an Ignatian Old Catholic has as a central axis discernment; It is a search engine of the footprints of Jesus Christ, that their daily life in "love and serve" becomes. Consciousness in Jesus is the first factor of the charism of the Priestly Society; We are Christians Anneli seeking inclusion, as well did the master. We believe in God, most not, we believe Dios and therefore we are faithful to his word when he said: "go, therefore to the people of all Nations and make them my disciples." (Mt 28, 19).